KATHMANDU, Oct 10: "Navaratri Parba" or the nine-night festival of Bada Dashain, the great festival of the Hindus of Nepal, commenced from today. The first day of Bada Dashain festival is called "Ghatasthapana" that falls on Aswin Shukla Pratipada, the first day of the bright half of the lunar calendar in the month of Asoj. Prayers are also offered to Durga Bhavani, the goddess of power today. Germination of the auspicious "Jamara" is also initiated at Hanumandhoka Dashain Ghar in accordance with Vedic rituals, today. 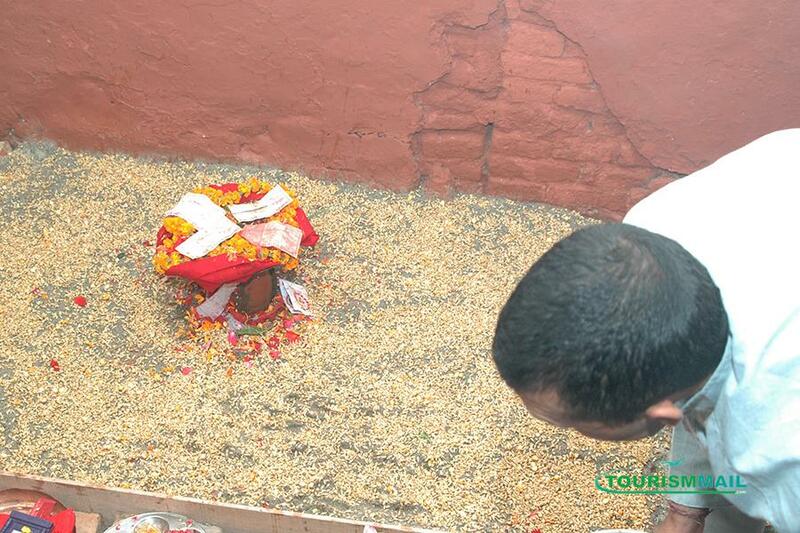 There is also a tradition of sacrificing animals while initiating the germination of the "Jamara".